This is a great deal on a buyout tire! This price will not last long, and once they gone.... they are gone! Thinking about hitting some new terrains this weekend, but need an all terrain tire that can handle the job? Check this out! The Carlisle AT 489 is an aggressive, gripping ATV tire for use in sand, mud and other off road vehicle use. The Carlisle AT489 has lots of deep cleats for unbeatable traction. The durable 3 ply casing (which comes in most size) gives this all terrain tire added resistance against punctures and bruises. 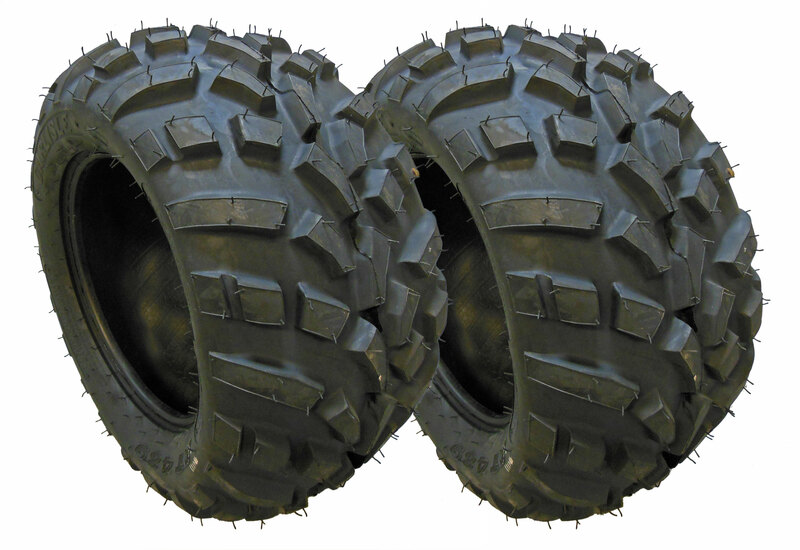 The AT489 is an ideal off-road tire for your quad, ATV, or side by side, and is a popular tire for many ATV such as Arctic Cat, Yamaha Rhino, Honda, Kawasaki, Kubota and other all terrain offroad vehicles. This tire is bias-ply, tubeless and is not approved for highway use despite the 50 mph rating. Carlisle is a strong American company that is the largest producer of specialty tires in the USA. Most of their products are also produced in the USA, making them a great domestic choice. Simple put, Carlisle means quality. You can t go wrong when you choose a Carlisle tire for your ATV, UTV, or Side-x-Side! Q: What rim is needed for these tires?